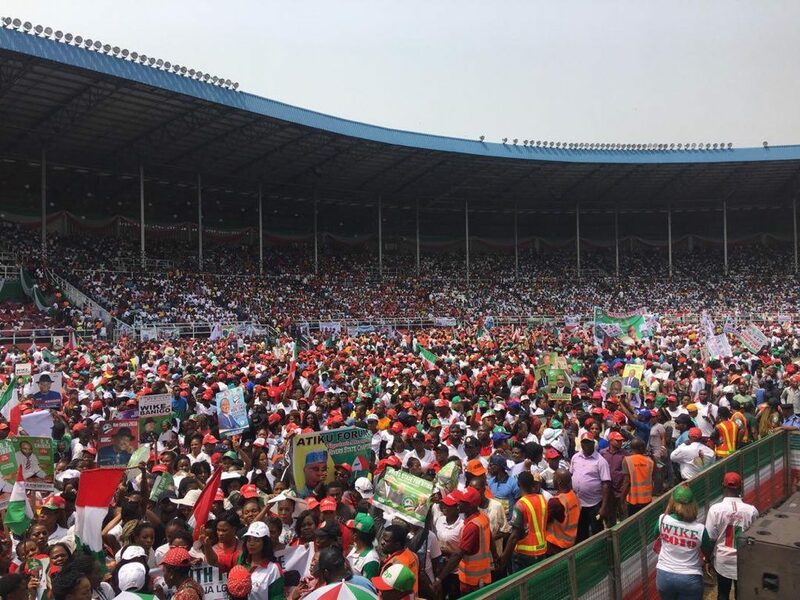 The Presidential candidate of People’s Democratic party, PDP, Atiku Abubakar was in Rivers state earlier today. 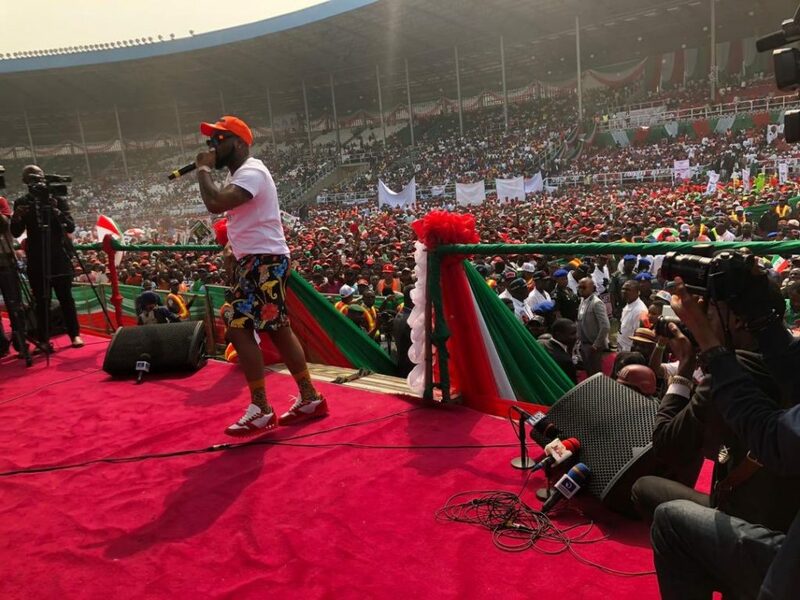 Prior to his arrival, the Nigerian super star, Davido was already thrilling the vivacious mammoth crowd. 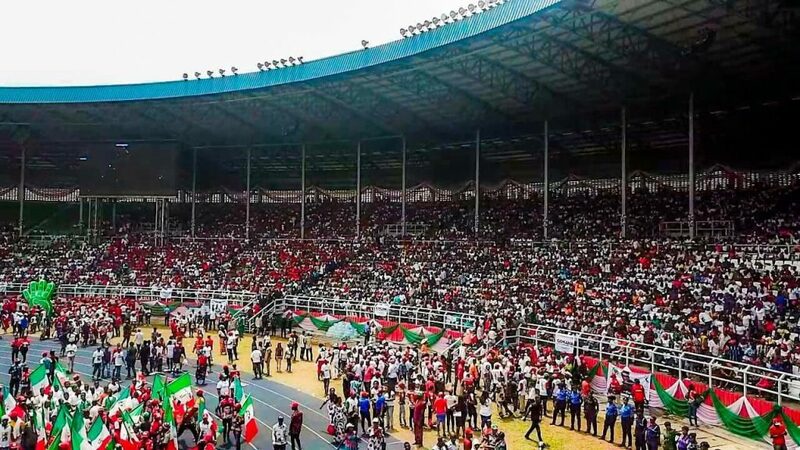 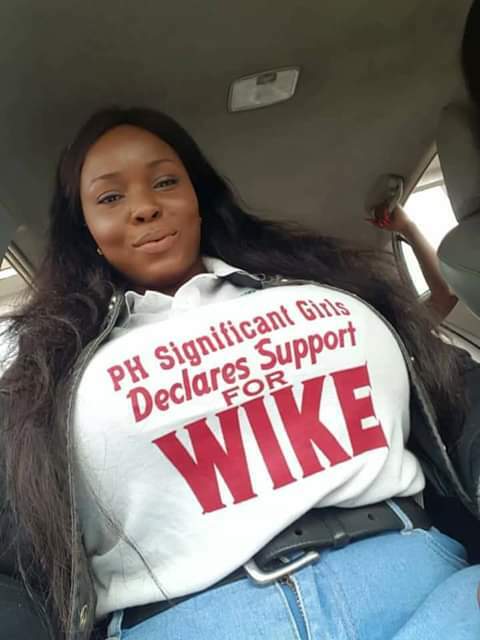 The crowd was overwhelming as most of them kept chanting, “Obi kelele nke Obi”, the name of the running mate, Peter Obi.